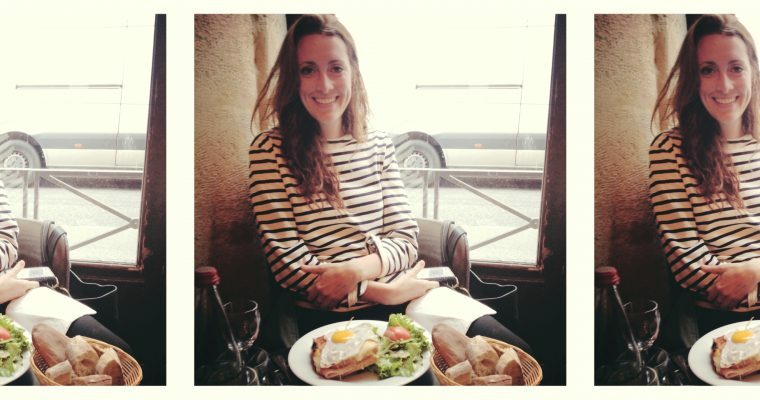 Writer Charli James, who has recently set up home in Paris, testifies to the fact you can lead a rich and happy life in the French capital even if you can't communicate with the locals in their own lingo. Here's how. I barely speak French but I didn’t let this stop me from moving to Paris. And I do know I’m far from alone. Now I’m not advocating remaining French illiterate, especially if you plan to live here long term, and I am working hard to improve my own French, but soon after moving here, I realized you don’t actually have to speak the language very well to have a full life in Paris. Now this may sound implausible, but I promise there are a truckload of people doing this in Paris. The majority of students in my first language class after moving to Paris had lived in France for over a year – some as long as six years–and their French was still beginner level. They stay for the lifestyle, culture and beauty of the city and have carved out a nice little life for themselves 95% in English, Spanish, Arabic or whatever native tongue they arrived speaking. That’s not to say life will always be peaches and cream living in a francophone country with your kindergarten French. But if you have little interest in seriously studying French, here are some things you’ll need to get used to and some early decisions that can make your life much easier. In Paris you may speak your native tongue at home, at work and with your friends, but if you don’t speak French, you definitely need to speak English. The chances that the shopkeeper on the corner speaks Japanese or Russian are slim to none. However most will be able to muddle through the transaction with you in at least basic, and sometimes very good, English. This is because English is the standard language of tourism in Europe. So when Germans, Swedes, Ukrainians, and other foreign nationals visit France, they generally speak English with the locals as well. If English isn’t your native language, brush up before boarding the plane. And remember even if you are a native speaker to talk slowly and clearly (but not condescendingly). If you can’t explain yourself in detail, that means you’re sometimes going to end up with a result that isn’t exactly to your liking. “Order what you want, eat what you get” is your new motto. Get used to it, and don’t be too picky. You may discover something new you never would have tried otherwise, or you may hate what you end up with, but this is the price you pay for not speaking the language. And speaking of price, budget in that you’re not going to always be able to bargain hunt. Your life and mental state will be better if you have a little bit of monetary padding so you don’t feel guilty buying that toilet plunger that is a little overpriced to save yourself a major headache. The first time I lived in Paris, my apartment was over in the 15th arrondissment. A beautiful and clean neighborhood with a view of the Eiffel Tower….and very boring for a young foreigner. Because it is not traditionally a touristy area, the surrounding shops were not used to dealing with English speakers and my bad French was sometimes met with blank stares or annoyance. My crappy French was obviously not their problem, but if you intend to keep your French crappy, may I suggest a more tourist-hospitable neighborhood such as the Marais, Montmartre or Saint Germain where shopkeepers are used to dealing with a more international clientele. A little bit of “bonjour” goes a long way in Paris. Just launching into English with a French person is a surefire way to get bad service. It drives French people crazy when someone stops them on the street and immediately speaks English at them. Imagine how jarring it would be if someone came up to you and started asking for directions in Chinese expecting you to respond smoothly. Enter a store and give a big hearty “bonjour!” before proceeding with your request in English. Or if you’re on the street and have a question, first say “pardon, parlez-vous anglais?” when you stop someone. Speak slowly and show a little deference. You are in their country and asking them a favor after all. French people aren’t all rude, but they also aren’t all bit players in your Paris fantasy here to make your stay wonderful. There are “relocation agencies” here that you can pay to help you settle into Paris. They can guide you through the process of navigating the immigration system, finding an apartment, translate government forms for you, go with you to the bank to open an account and other difficult to impossible tasks for non-French speakers. I haven’t used any myself since my husband is my personal relocation guide, but Entree Paris, Savoir Faire Paris, and Feel Parisien are a few you can check out if you need assistance. Or you can always find yourself a French lover to help, as long as they also speak your native language of course. Charli James is the writer behind the blog Am I French Yet. To read the original blog post CLICK HERE and to read more from her you can visit her blog by CLICKING HERE.